…in which I ask: Can we stop arguing over a downtown Phoenix dog park and move on to other issues? At the previous Hance Park Steering Committee meeting, the Steering Committee recommended placement of a temporary dog park at the northwest island of Hance Park, located across from Kenilworth School, between 3rd and 5th Avenues and Culver Street. This was the decision that has had support from community members, institutional processes, and the right decision makers. Enter today. A new fight was waged against democratic processes. A neighbor adjacent to the proposed Hance Park dog park site gave a three-minute speech about why a dog park should not go at this temporary site. A lot of people asked him this question: Why weren’t your issues brought to the table when the Ad Hoc Dog Park Committee was going through its recommendation process? Of course, the gentleman had no answer. His flyers (which were printed on gloss paper with somewhat professional graphic design) linked to an online petition which, at the moment of this writing, has only two signatures. I’m not a fan of dog parks but I am supportive of the process that has been taken here by the Hance Park Steering Committee. I am also supportive of the Hance Park Steering Committee’s desire to launch an RFQ process as a means to develop Hance Park’s new Master Plan. But as for dog parks: this location is sensible and temporary. It is a sensible site because it executes the democratic processes and recommendations of the Ad Hoc Dog Park Committee and is cognizant of community input. It is a temporary site because the formal design team will work with the neighbors and site a dog park at the location that works the best. If it’s the same site, nobody knows. 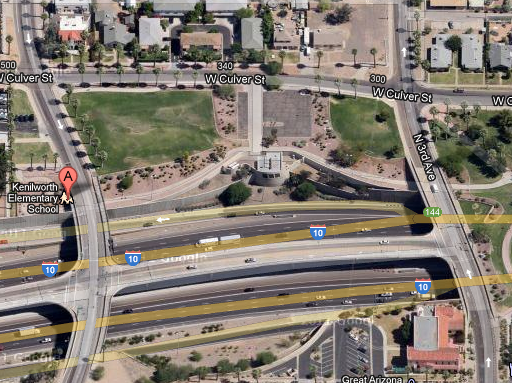 So, I have a question to my fellow downtown Phoenicians: Can we put this saga to rest? There are so many larger pressing issues that face downtown Phoenix that we should work together to find solutions. Dog parks are for the dogs. Let’s work on human-scaled issues together. That’s my approach: who is with me?